The MOTUL FIM Superbike World Championship riders took to the track early this morning at Portimao for their final day of pre-season testing on European soil, before they will all head Down Under for the last Official Winter Test and the first round of the 2019 season from 22nd-24th February at Phillip Island (Australia). Sun continues to shine down for Day Two at the roller coaster race track, but with the strong wind blowing and the low temperature of the asphalt, some teams’ will be having their testing programs slightly different today. 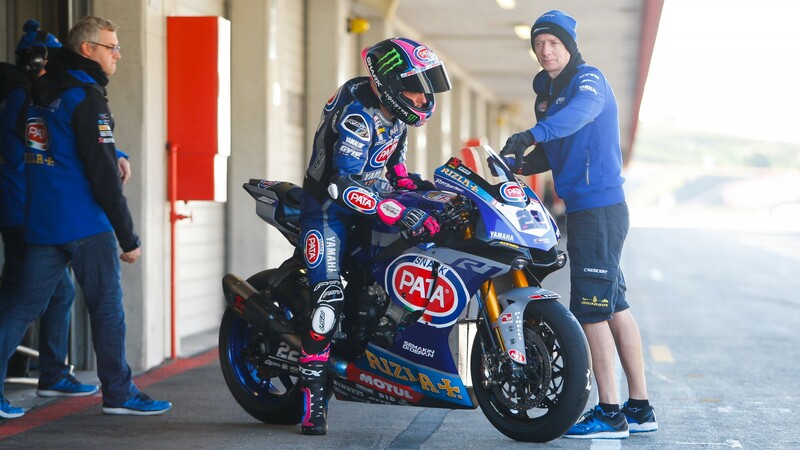 Testing different items compared to the days before, Alex Lowes (Pata Yamaha WorldSBK Team) continued to show his astonishing pace, as he set the fastest lap time of the morning in 1’42.584. Finishing close behind in second position, it was Alvaro Bautista (Aruba.it Racing -Ducati), who put on an impressive performance yesterday onboard the all-new Ducati Panigale V4 R. As he was riding all day learning the unique race track of Portimao, where he has never been riding before yesterday, the Spaniard set the 3rd fastest lap time yesterday, and currently sits in second position today just 0.117 s off Lowes’ lap time. 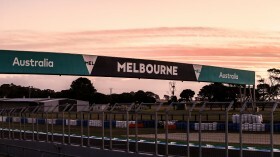 Reigning World Champion Jonathan Rea (Kawasaki Racing WorldSBK Team) was the third fastest rider on track this morning, while his teammate Leon Haslam, who will work on his consistency today, finished fifth close behind the Kawasaki ZX-10RR of Turkish rider Toprak Razgatlioglu (Turkish Puccetti Racing), who set the fourth fastest lap time. Working on their feelings with the YZF R1s, both Marco Melandri and Sandro Cortese (GRT Yamaha WorldSBK) had a positive pre-season so far. The Italian rider set the sixth fastest lap time in 1’43.358 this morning, while Cortese finished ninth. Michael van der Mark (Pata Yamaha WorldSBK Team) sits in seventh position. Focused on testing the items that were previously tested by his teammate, the Dutchman will look forward to completing his testing program without focusing on the lap times. The Aruba.it Racing – Ducati Team will continue with their busy program today, working mainly on different electronics strategies and testing different tyres. 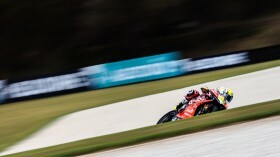 Chaz Davies, who is still struggling with back pain, looks forward to putting in as many laps as possible to gather the information required by his crew to keep working on his new Ducati bike. 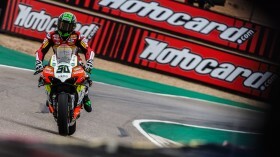 The British rider closed in eighth position the opening hours of Day Two at Portimao. After unveiling the new look for their BWM S1000RR, Tom Sykes and Markus Reiterberger (BMW Motorrad WorldSBK Team) took to the track for a single lap with their new colours but then they switched back to their test livery. Focused again on their work program they set the tenth and thirteenth fastest lap times respectively. Among the WorldSSP rider, Jules Cluzel (GMT94 Yamaha) continues to lead the way on Day Two, followed close behind by the Kawasaki ZX-6R of Lucas Mahias (Kawasaki Puccetti Racing) and MV AGUSTA Reparto Corse rider Raffaele De Rosa.